No distance is too far. We can provide Long Distance Taxis to any U.K Destination. Cheap Airport Taxis Coventry have experienced drivers for Long Distance Journeys. Travel with Cheap Airport taxis to your airport, sporting venue, Hotel, cruise port, Seaport, or arena, theme parks. You can just make it a fun day out. We tailor your long distance taxi ride depending on your needs. Our Drivers can wait at your destination & Returning you back home comes at a small fraction of the cost if you were to hire a black cab taxi. As they use the taxi meter which will add up to alot of wasted money. We often travel to sporting venues, arenas, centres, seaports, cruise and ferry terminals to Villages & towns in the warwicksire and west midlands area. 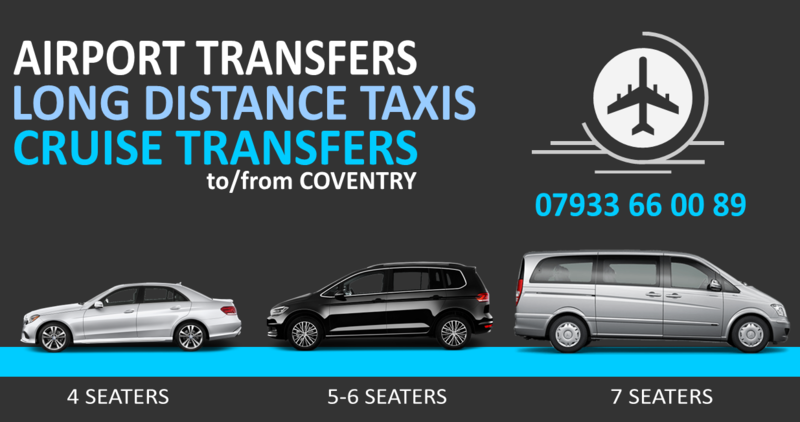 We also provide Transfer from Coventry to Stadiums throughout England. Some of our Destinations are as follows; Lords Stadium, Old Trafford, Edgbaston, Millenium Stadium, Twickenham Stadium, Olympic Stadium, Murrayfield, Headingley, Trent Bridge and Swalec Stadium.